Finding precisely the right spot in your yard or lawn for a new tree varies by species. Some local or tropical varieties can flourish in direct sunlight and can handle southern exposure. They can even help protect your house by shading it from the summer sun and lowering your energy bill. But some northern varieties aren’t equipped for the full Texas sun, especially when they’re young, and so might do better along the northern side of your property. When you’re positioning your new trees, it’s also important to take your foundation into consideration. While hedges and garden bed plants can help hold soil in place against the perimeter of your house and even regulate the soil’s moisture and temperature, the same isn’t true for trees. Planting trees too close to your foundation means the tree’s roots might start to burrow through the slab. Even with root guard, the growth can displace the soil and concrete, which leads to settling and cracking. In order to better protect your house and help your tree grow to its full potential, make sure you plant large trees over twenty feet away from the perimeter, medium trees fifteen feet away and small trees at least ten feet away. The same is true in regards to your driveway, since roots can lift up the slabs and make your driveway uneven. 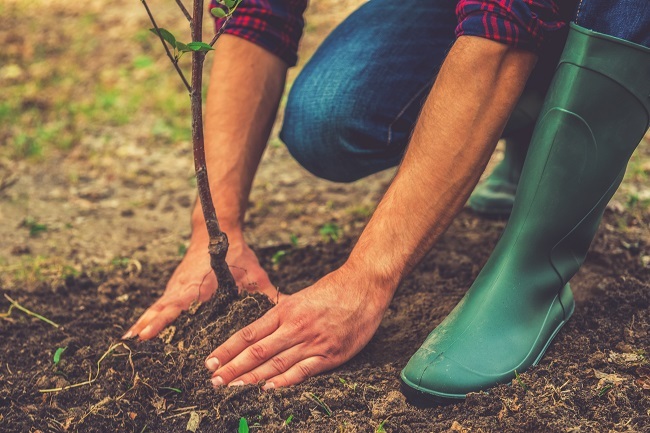 Go to Chambersville Tree Farm to find the right trees for your yard and expert advice on where to place them so they grow healthy and strong without damaging your property.